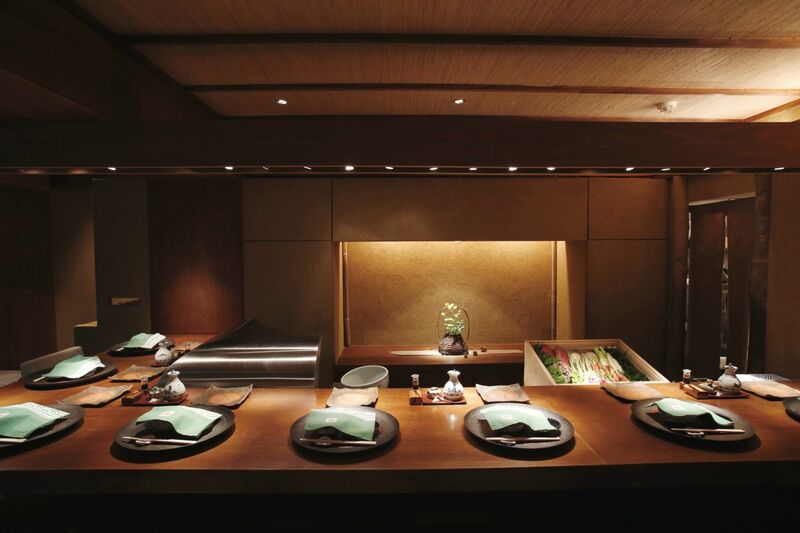 Meticulous, discriminating and highly-acclaimed, the chef at Tempura Motoyoshi has a clear vision for entertaining his guests. Now that you are here in his perfect warm space, surrounded by beautiful accoutrements, with your eyes feasting on the brilliantly colourful ingredients, his focus is on you. Settle in and watch as the chef works with quiet precision, artistically arranging each morsel about to amuse your palate. From a small, curved backstreet of Aoyama, step down into this warmly lit, comfortable space and take your place at the nine-seat counter. 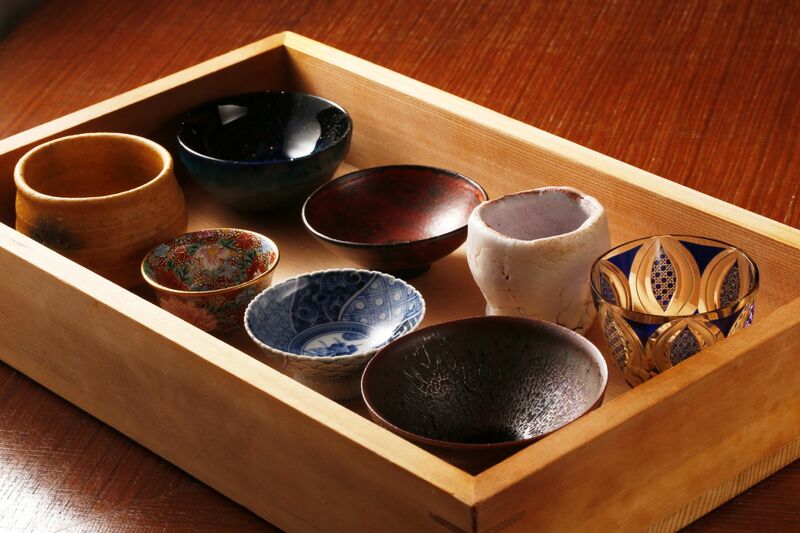 Chef Motoyoshi’s passion for tableware is highlighted all around, not just in the narrow showcase of handmade tea cups along the wall, or the large pottery platter dotted with dishes before you. It was, in fact, one simple, understated brown bowl that inspired the entire interior design, with the theme of contrasting tones and textures. Juxtaposed with the coarse textured stucco walls and distressed African teak counter, your eyes are drawn to the shiny smooth stainless steel shield of the oil pot. As you take in your surroundings, live bell crickets start their timely soft cries providing the perfect and most natural background music. The ambience implores you to slow down and enjoy this moment. Tempura is the star here. Your course will be a journey through seasonal seafood and vegetable flavors, showcasing the versatility of this cooking style. 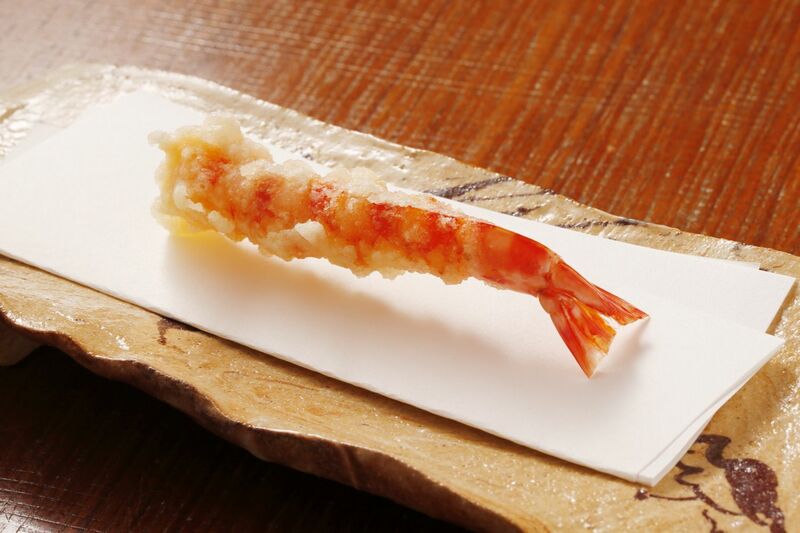 A single prawn with a sprinkle of salt. 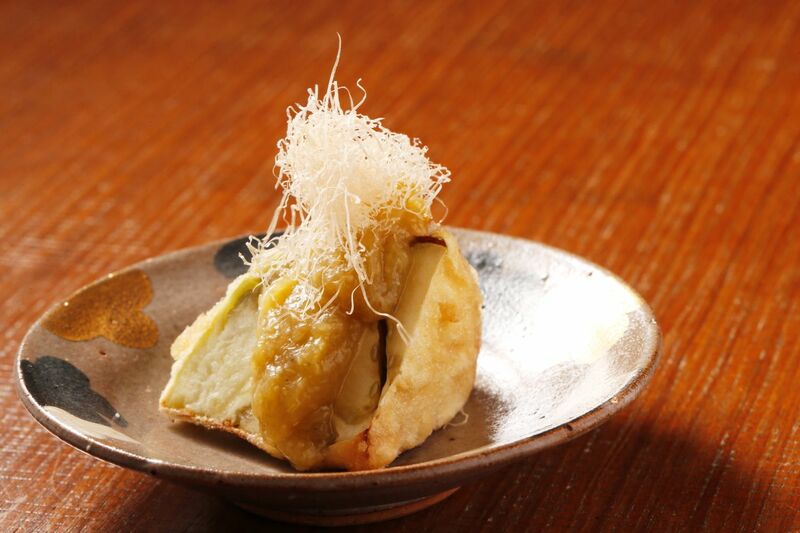 The smoky inviting aromas of eggplant tempura topped with grilled eggplant paste and tuna flakes. 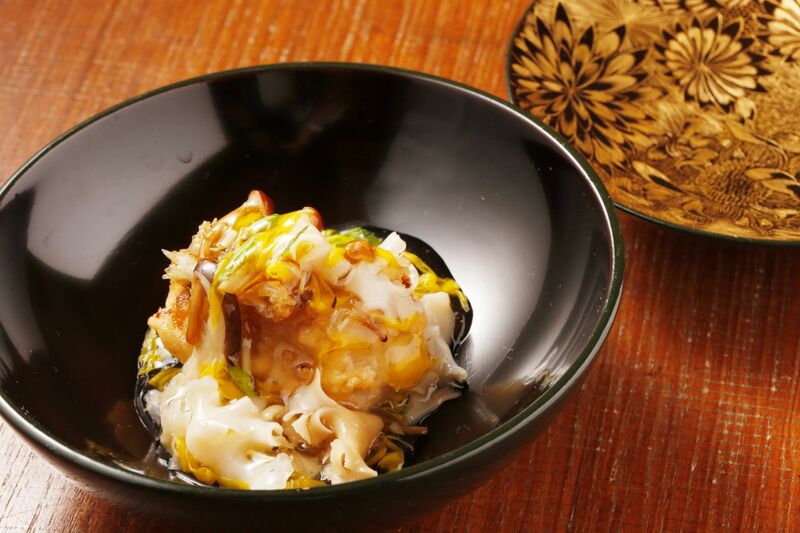 A pretty bowl of tilefish tempura topped with chrysanthemum flowers and mushrooms, dressed in a thick clear sauce. 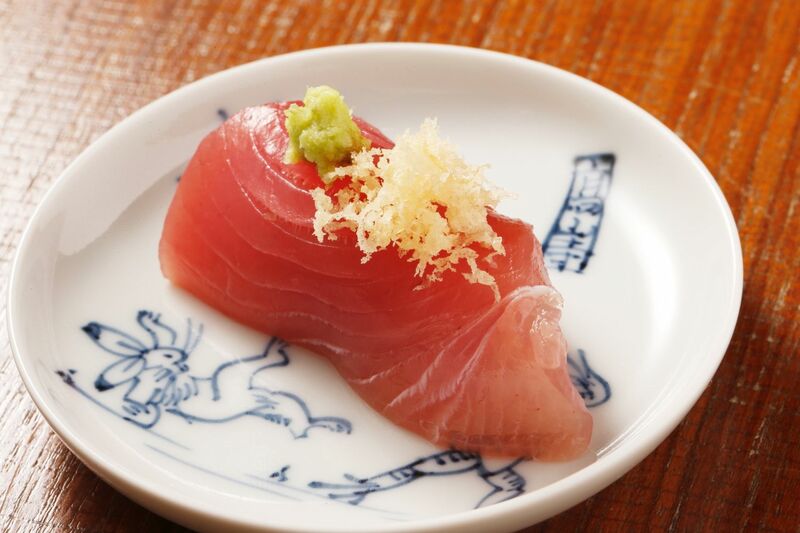 Each course will surprise you with its unique techniques and styles, warming your belly without weighing you down. Chef Motoyoshi’s tempura is incredibly light and crispy, allowing you to focus on each ingredient’s innate flavors. His secret? The batter. But there are no secrets – just eggs, flour and iced water, mixed together entirely on intuition. The ratios vary by season, temperature and the weather, but Motoyoshi cannot say in what way or by how much because he just feels it in his hands. 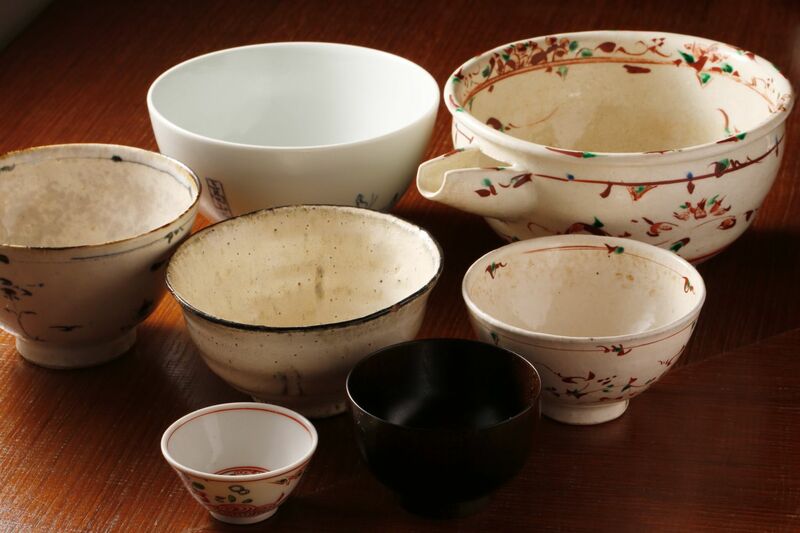 He transfers the freshly mixed batter to a rotund pottery bowl right next the oil, and assesses the consistency with his long, thick wooden chopsticks. Magically, the batter is arranged into three different levels of density within the bowl, and Motoyoshi decides where to dip an ingredient depending on type and purpose. You can hardly even hear the ingredients hit the oil. Gently bubbling away, Motoyoshi checks and turns the pieces with long metal chopsticks. And then they appear before you, each tasty morsel a gift for your palate. 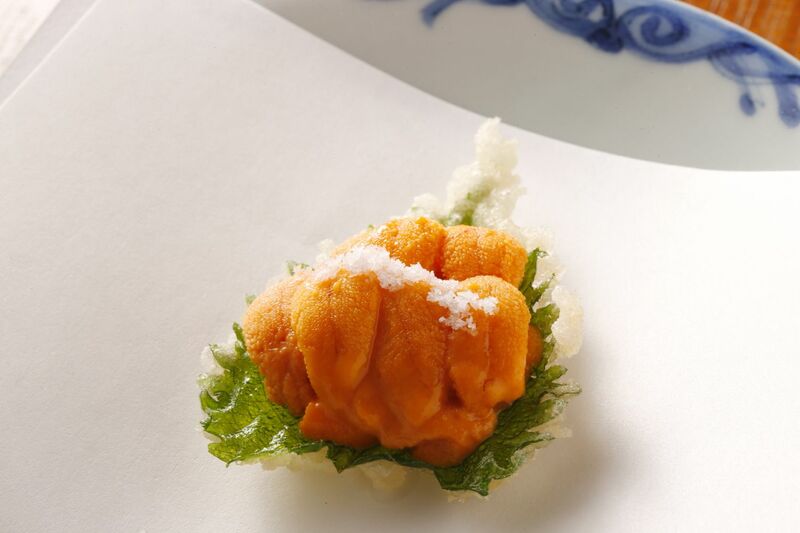 Not least, the signature dish – a tempura shiso leaf topped with a generous spoonful of creamy uni sea urchin. Your meal up to this point, except for the libations you have chosen from an extensive drinks menu, has been totally in the hands of the chef. Now to complete your dinner, you will be presented with a series of choices. Showing you seven bowls ranging from a tiny tea cup to a large noodle bowl, Chef Motoyoshi will ask what size you would like for your final course – a delicious fritter of plump prawns and scallops in a sweetish soy sauce dressing with freshly steamed rice. After you decide on size, you need to choose style. 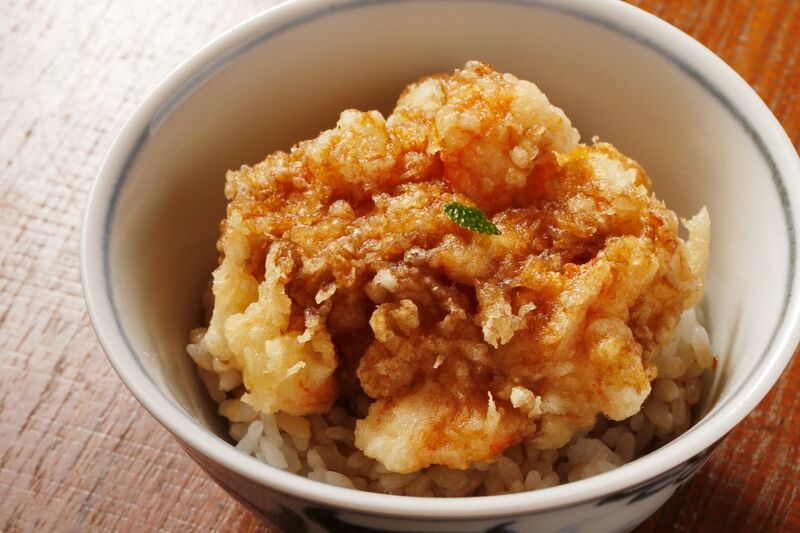 Would you like your fritter on the side or on top of your rice in a dish called tendon? Or do you prefer tenchazuke, which is tendon finished by pouring over either steaming hot green or roasted green tea? Whatever you choose, this is utterly luxurious comfort food. Arriving back from Tsukiji market, which he visits every day, Motoyoshi unpacks the fresh ingredients from the cooler box strapped to the back of his motorbike. You would never guess this is a one-star Michelin chef. 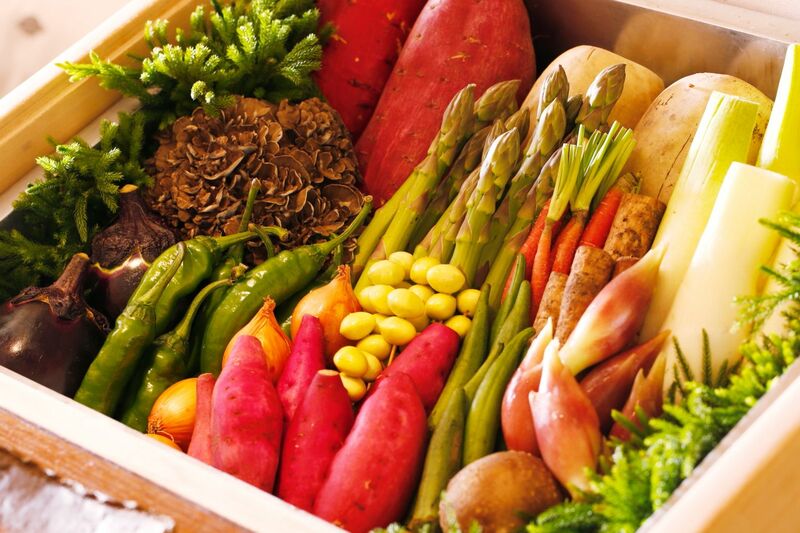 A rainbow of vegetables fills the counter showcase: sweet potato, Kyoto-grown Takagamine peppers, gingko nuts, lotus root, burdock root, myoga wild Japanese ginger buds, asparagus, okra, eggplant, shiitake and other mushrooms, the list goes on. The oil used is entirely vegetable based – a combination of canola and corn with a touch of premium sesame oil to enhance the natural sweetness of each ingredient. The tempura pieces are lovingly prepared one by one. It’s rather extravagant to cook small pieces individually in such a large pot of oil, but it ensures the best possible outcome in terms of flavor and texture. After all, as Motoyoshi sees it, would you be at your best after a luxurious ride in the spacious first class of a bullet train or the crowded commuter carriage on the Yamanote Line? You can see how philosophical Motoyoshi is about his ingredients, too. He wants guests to taste the perfection in every bite, which means they should be eaten as soon as possible. The vegetables don’t get to choose who eats them and Motoyoshi feels sorry for them if they are left unnoticed when guests get caught up talking. He prepares a new piece so as not to compromise on the flavor and texture experience, hopefully making the diners more mindful in the process. 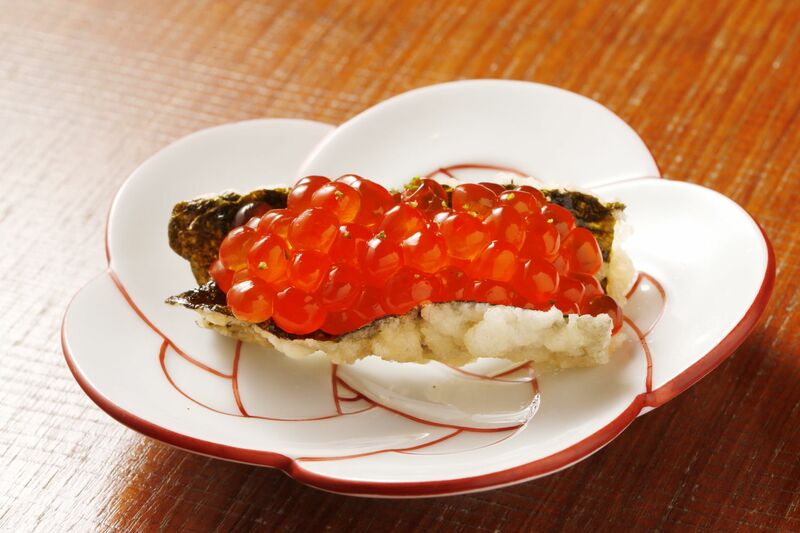 From Kawasaki in Kanagawa Prefecture, Kazuhito Motoyoshi grew up in a family of fishmongers. On both his mother and father’s sides, they were the owners of local fish shops with more than 80 years of history. Surrounded by good food from childhood, his mother was especially skilled at making tempura, cooking one piece at a time so that the whole family could enjoy it at its freshest and best. Motoyoshi enrolled himself in Tsuji Culinary Institute in Osaka straight out of high school. Upon graduation, he worked at several prominent Japanese restaurants in the Kyoto area, gaining new experiences at each new place and building his repertoire of skills. He then spent about four years at a tempura restaurant before embarking on his journey as an independent specialist tempura chef. 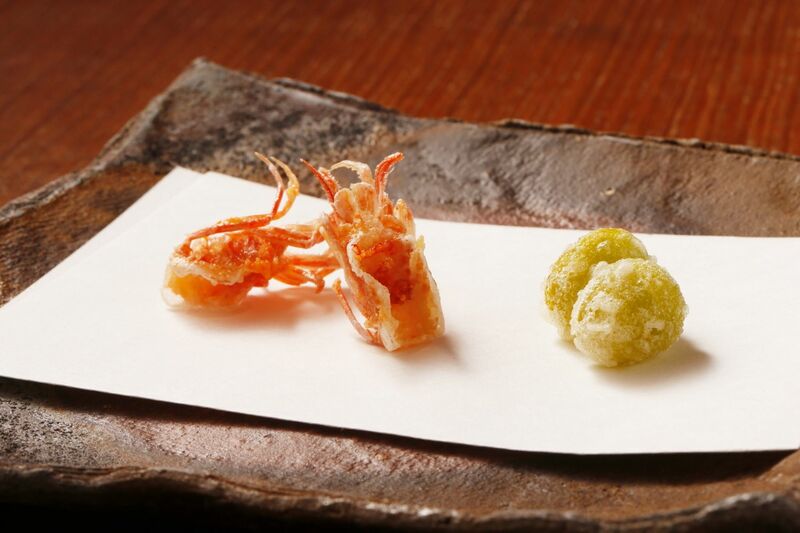 He opened Tempura Motoyoshi in 2006 at the age of 31 and went on to earn a Michelin star, introducing ever more people to the delights of this delicious form of Japanese cuisine. Chef Motoyoshi’s ultimate goal is for everyone to love tempura. While mentoring apprentices is the key to raising the talent of the future, he is deeply aware that an apprentice cannot fully develop if constantly under the eyes of his master. Thus, over the coming years he hopes to open partner restaurants, allowing these apprentice chefs to go out on their own. It will be motivating for aspiring young chefs and will also mean more opportunities for customers to enjoy the delicious tempura that Chef Motoyoshi is famous for. 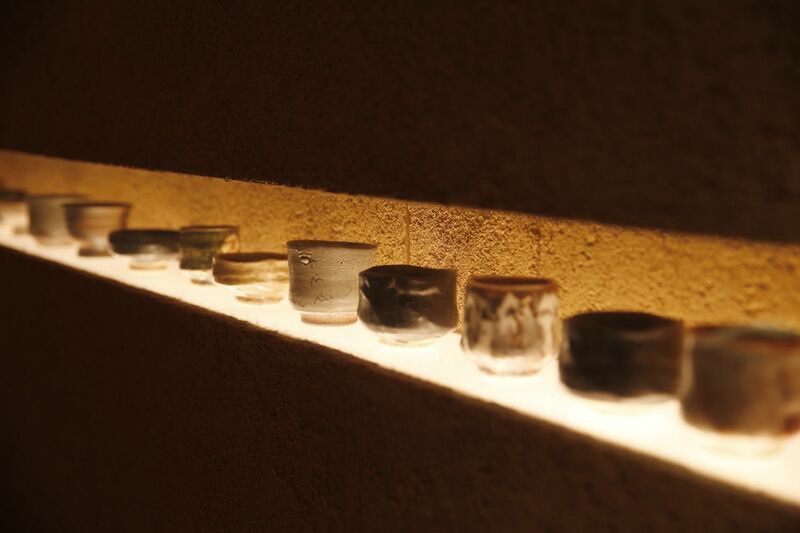 If a glance around the restaurant did not already give it away, Motoyoshi is passionate about pottery. When he opened his restaurant almost all his savings went towards the tableware collection, and you can see the love as he touches them and describes their textures and origins. He collects from countless different potters, splurging when he sees pieces that take his eye at gallery exhibits. With a keen eye for craftsmanship, Motoyoshi also likes to design. The slim, ridged glass soy sauce bottles dotted along the counter were designed by the chef himself, in search of a vessel that gives perfect drops without any drips. 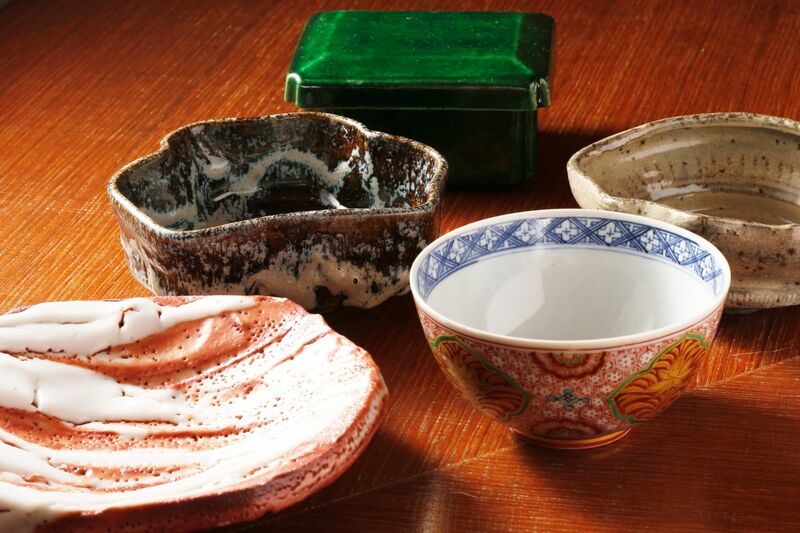 And for regular customers who purchase a tea cup, Motoyoshi promises to look after it until next time, so you can always feel at home at the end of your meal. Exquisite pieces abound, but there are also many playful touches. There are chopstick rests that look like sliced lotus root, and that uni shiso tempura you enjoyed earlier – it has been turned into a shirt pin souvenir that you can purchase to forever remember that sumptuous signature dish.